We closed out 2017 by looking back on the year’s biggest highlights and recognizing those who made ‘em happen. From establishing new partnerships to winning awards – A2U’s 14th year in business has been one to remember. In no small part, Robert Hammond has been an integral part of our great team. 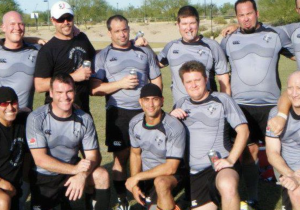 A veteran sales guy and a Rugby world champion, Hammond hails from the Beaver State and believes that hard work and relationships are key ingredients to his success as a senior account executive at A2U. 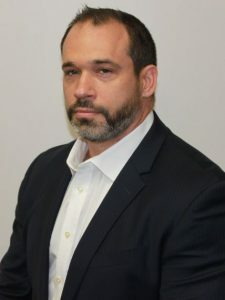 He’s been a familiar face at A2U events and among customers. Next time you see this world traveler, you’ll know him a little bit better if you keep reading! This month, we’re happy to recognize Hammond in our Employee Spotlight post. A: When a solution you implement for a customer creates a positive change and/or noticeable improvement to the business unit as a whole. 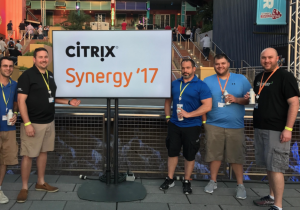 Robert Hammond, pictured to the right of the Citrix Synergy sign, alongside A2U employees and customers. Q: How long have you worked at A2U? A: Leaders must be close enough to relate to others, but far enough ahead to motivate them. Q: Do you have a personal philosophy or motto? Q: What have been the top three highlights of your life? A: Traveled to all but three states; participated in the Rugby World Cup in two countries; set foot on five continents. Robert Hammond, pictured in second row, third from the left. A: A good, single malt scotch. Q: What’s the best piece of advice you can share with recent graduates? A: Never stop learning and don’t be afraid to take chances. If you notice an A2U employee going the extra mile on the job – please share that with marketingteam@a2u.net so we can give credit where credit’s due. And, as you might’ve read in our End of Year message, we already have a few 2018 events marked on our calendar (so save those dates!). P.S. Ya’ll see our new website? Go on, don’t be shy – check it out!